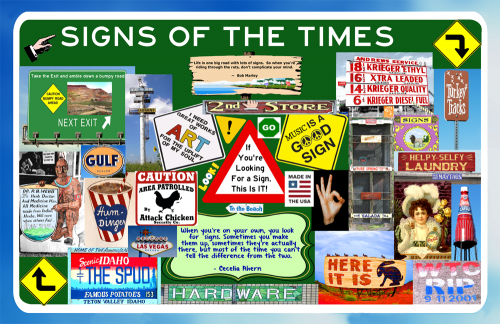 As part of our Americana series, you'll find dozens of "signs of the times". This composition, placed on a background of a typical highsign, displays both restored and colorized vintage images, current images taken during our travels, and some fun text to make a one-of-a-kind piece of wall art. Composition by Kathy Weiser-Alexander.